Spring is almost here. Woo Hoo! 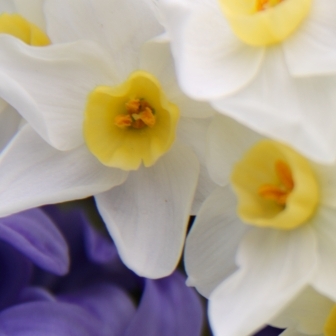 The first primroses and anemones are flowering under the oak tree and the first early daffodils are just ready to bloom. All we need is a little more sunshine and then their buds will burst open. In the meantime I spotted some Paper White Daffodils in the florists. These miniature daffodils are often forced for Christmas and they are also available in pure white but these were a lovely creamy pale yellow. 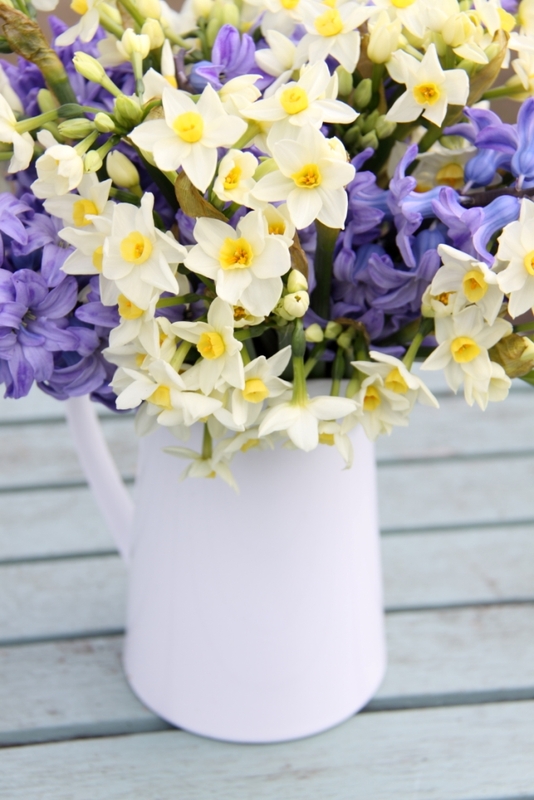 Combined with blue hyacinths in a simple white jug they make a beautiful display with a lovely scent too. They may just last until I have daffodils of my own to pick.